The law involving divorce in North Carolina is governed by Chapter 50, Article 1 of the North Carolina General Statutes. It states that an absolute divorce is the legal termination of a marriage. A divorce may be obtained in North Carolina through a civil litigation process by filing a Complaint for Absolute Divorce and the entry of a judgment for Divorce. Please note that it is absolutely essential to resolve all of your claims for Property Division (Equitable Distribution) and alimony prior to obtaining a divorce as the entry of a divorce judgment will in most cases forever bar those claims. It is always the best practice to at least consult with an experienced Raleigh Divorce Lawyer prior to filing for divorce to make certain all your interests are protected BEFORE your divorce is entered as divorces have many legal consequences as described below. The actual process of obtaining a divorce in North Carolina is a relatively simple process, however it must be done exactly “right”, and some issues may arise that cause significant problems. North Carolina requires a party seeking a divorce to prepare and file a Complaint for Absolute Divorce, accompanied of course by a Civil Summons and any other locally required filings such as cover sheets. All of the standard rules of North Carolina Civil Procedure shall apply. In other words, you and your spouse must have been separated for at least 12 months and one day, and at least one of you must have intended the separation to be permanent. You must also allege that you remained separated and did not resume the “marital relationship” during the 12 month separation period. The plaintiff should also allege and name any minor children born to the marriage and name them including their dates of birth. Other technical language (such as allegation of jurisdiction, status of parties, prayer for relief, etc) is required or advisable, however the aforementioned statements are the heart and soul of the divorce complaint. One must also make certain to file the documents in the appropriate state and county. See N.C.G.S § 50-8 for additional information. After filing, the Divorce Complaint must be served upon the Defendant pursuant to Rule 4 of the North Carolina Rules of Civil Procedure. What Proof Does NC Require for Separation? North Carolina requires no “proof” beyond a verified or sworn statement making the required allegations which are usually made in the Divorce complaint. There is a misconception among many that one must have some sort of proof establishing a “legal separation date,” but that is not the case. If the other party disputes the accusations, then additional evidence may be necessary to convince the Court that your allegation of the date of separation is in fact correct. This rarely happens, but on occasion one party will file an Answer to the Divorce Complaint claiming the separation date was false or that they had resumed the marital relationship at some point during the separation period. In that event, the Court will hear evidence and decide based on the greater weight of the evidence. The other party may file an Answer admitting or denying the allegations, or they may not, in which case the allegations will be deemed admitted. A hearing must still be calendered and noticed appropriately and if everything is in order, the Judge will grant your divorce. Attorney’s often make use of Motions for Summary Judgment or Divorces before the clerk in order to spare their client a trip to Court. If you are representing yourself, you will have to appear and testify in your divorce case as to the basic elements you alleged as outlined above. Finally, a Judgment must be signed by the Judge and file ordering your divorce, and a certificate of divorce prepared and filed for the record. The hardest part about getting divorced for most people is to understand the effect of that divorce, such as how you may be limiting or eliminating your ability to deal with other aspects of your end of your marriage such as support or property division. Once the divorce is granted, if you do not have a pending claim for Post Separation Support, Alimony, and Equitable Distribution, or an Order or Separation Agreement fully resolving those issues, you will forever waive your right to have those issues adjudicated in Court. If you have a valid Separation Agreement and Property Settlement, you can file an action based upon that Agreement after a divorce if the other party violates its terms, but if that Agreement does not provide for a final resolution of support and property division, then you will be left without a remedy in divorce law. It is imperative to seek legal advice from a divorce lawyer and ask questions before you file for divorce. Filing for divorce can lead to the loss of untold property and support. In some cases an unexpected filing may also cause your spouse to file counterclaims for Equitable Distribution and Alimony just to preserve them when a settlement could have been easily reached beforehand. 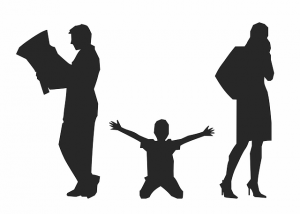 Are You In Need of a Raleigh Simple Divorce Attorney? If you have questions regarding simple divorce, call (919) 301-8843 or complete the form below, and one of our divorce attorneys will contact you shortly.